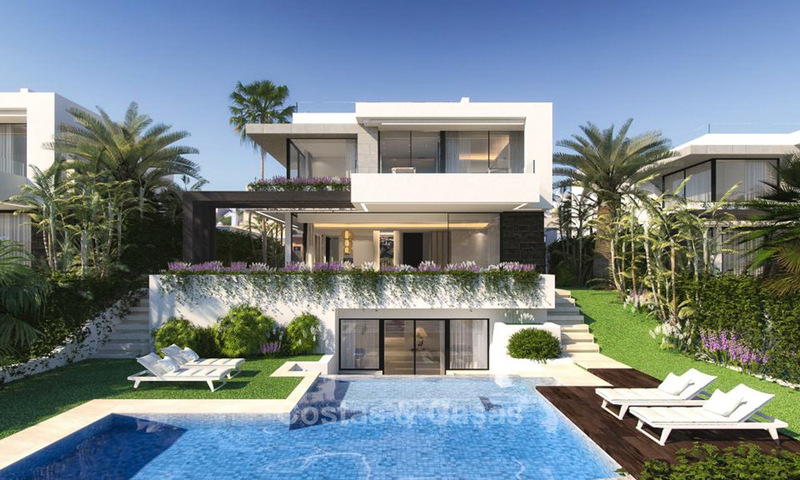 New, contemporary, modern luxury villas for sale in a new boutique development in Estepona - Marbella. Modern, contemporary architecture with wide, airy spaces. Located at walking distance from a lovely golf clubhouse with Spa, gym, indoor heated swimming pool, outdoor swimming pool, a basketball court, restaurant, chill out area with fire place, tennis and paddle courts and several supermarkets and restaurants. 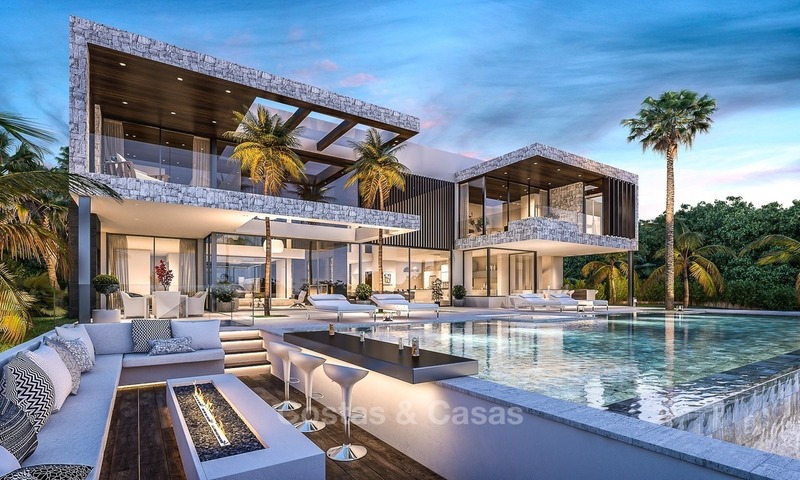 Only 1,5 km to the best beaches and beach clubs, minutes from the best golfing the Costa del Sol has to offer, a short drive to Puerto Banus and Marbella. 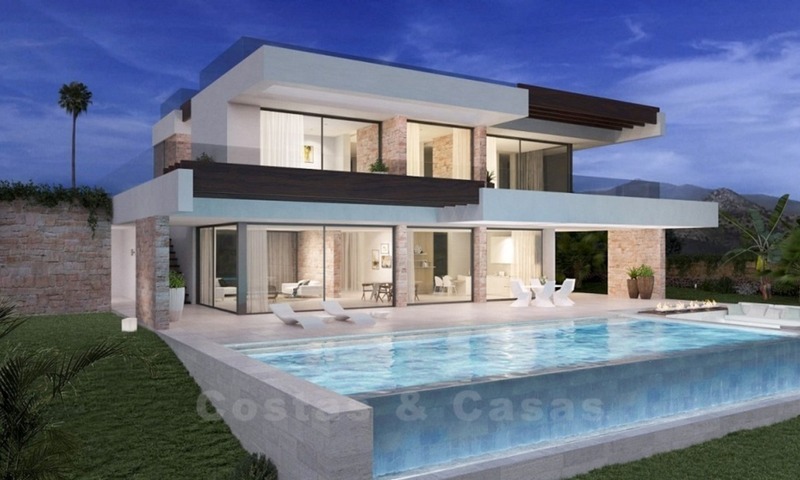 This attractive new project comprises 10 contemporary style villas, currently under construction. Only 6 remain available. Via well thought-out open plan design, abundant use of natural light and lightly coloured interiors, the villas offer very bright and airy living spaces. Cosy terraces are smoothly integrated into the indoor living areas by means of wide floor-to-ceiling sliding windows. The open plan kitchen with Siemens appliances features a central cooking island with breakfast bar and blends seamlessly with the dining and relaxation areas. The infinity pool has a large waterfall-like feature which adds to the ambience of wellbeing and closeness to nature. On the upper floor are 3 en-suite bedrooms, including a spacious master bedroom which benefits from a dressing area and directly connects with the bathroom by means of a glass wall. 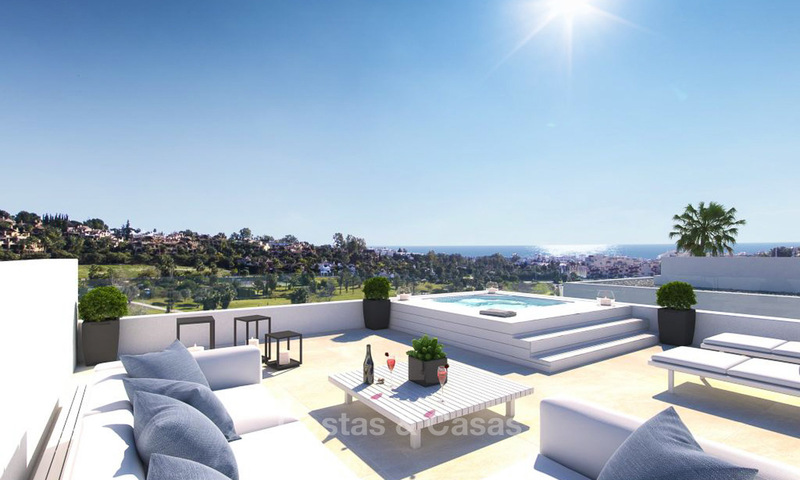 The roof top solariums enjoy 360 degree panoramic sea -, golf- and mountain-views and can be customized to the buyer´s individual requirements. BBQ area, chill-out, jacuzzi and dining area just are some of the available options. 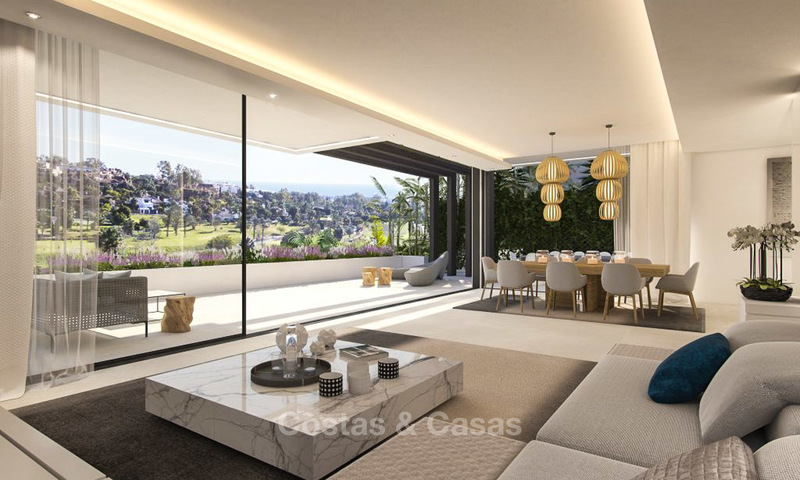 The 119m2-145m2 basement enjoys natural light and can also be entirely personalized according to the buyer´s own likings. Gym, home cinema, sauna, additional bedrooms or guest suite are some of the possibilities. As befits contemporary luxury homes, only top quality finishes and materials will be used. Construction work will also implement the latest techniques to obtain an ecological and low maintenance property. Choice between 4 types of villas, differentiated by layout and size. 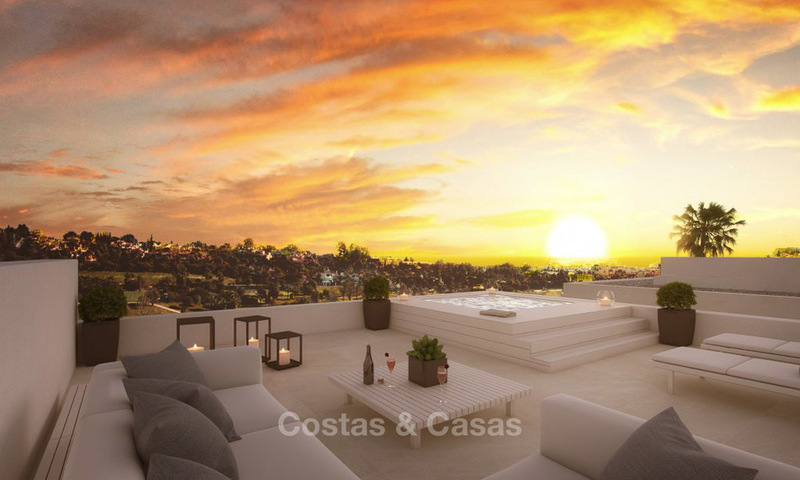 Each villa is distributed over 4 floors: ground floor, first floor, basement and roof top terrace. All villas have 3 en-suite bedrooms on the 1st floor and a guest toilet on the ground floor. We can show you all new projects that match your requirements. At developers’ prices but including our top notch service and market knowledge.